Shock absorbing, easy to assemble. The Aerobic Step will enhance your aerobic workout and take your cardiovascular fitness to the next level. Lightweight for easy transportation, One pairs of risers included. 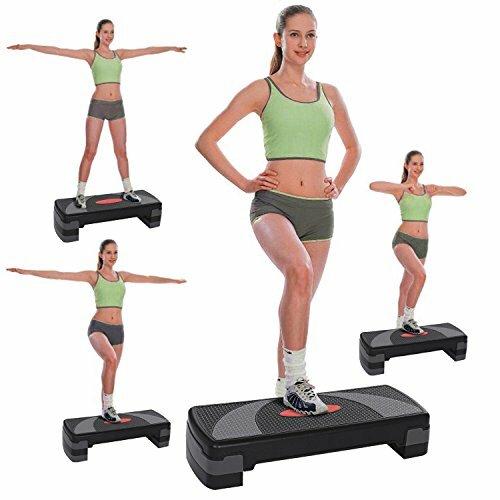 Adjustable Height 3.5inch to 5.5inch, adjustable platform height for vary workout difficulty.